Bibi Khadija (SA) was one of the biggest supporters of Prophet Mohammed (SAW) in the early days of Islam. She was a very wealthy woman, and she gave her wealth to help the religion. She was extremely generous! For this reason, as we remember the shahadat of Bibi Khadija (SA), we are discussing GENEROSITY. In order to simplify this as much as possible, we discussed how the SUN is very generous, because it shares its light with everyone. In order to shine bright like the sun, we should be as generous as the sun. 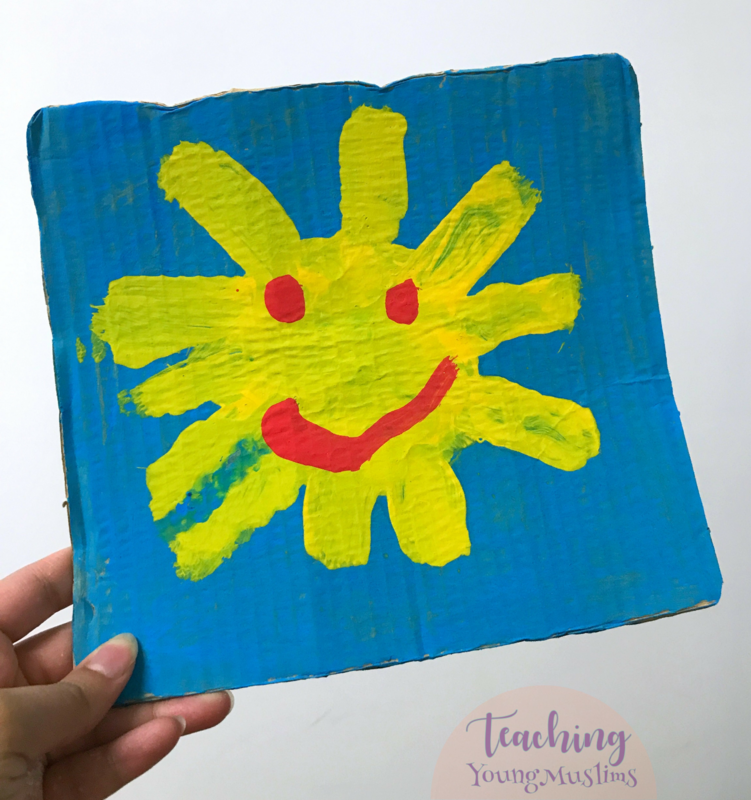 For our activity, we painted a bright yellow sun, and for each ray of sunshine, we discussed an act of generosity. Our particular sun had 11 rays of sunshine coming out of it, so in order to be as generous as the sun, we brainstormed 11 ways to be generous! Let’s all strive to be as generous as the sun, as generous as Bibi Khadija (SA), as generous as we can possibly be during this blessed month of Ramadhan!